John Alan Smith, 38, was jailed for 13 years at Lincoln Crown Court. John Alan Smith beat his victim Christopher Rawson with a length of wood and kicked him leaving him unconscious. Michael Smith was jailed for two and a half years. Photo: Lincolnshire Police. Mr Rawson, 52, was then stripped of his clothes and hosed down before being driven back to his home where he was left dying on the sofa. He was found after a colleague became concerned that Mr Rawson failed to turn up for work and was not answering calls. The man broke in to find Mr Rawson lying seriously injured on the sofa and close to death. He was taken to hospital and spent weeks in a coma before finally coming round. Judge Andrew Easteal, passing sentence at Lincoln Crown Court on Thursday, told Smith: “Had he been left for much longer there is no doubt he would have died there. He had life threatening injuries and was in a coma for nearly a month afterwards. The court was told that Mr Rawson was attacked at Smith’s home in the village of Pilham, near Gainsborough, after Smith lost his temper and went into a rage. Smith, 38, of Pilham Lane, Pilham, initially denied causing grievous bodily harm with intent to Christopher Rawson between May 22 and 25, 2017, but changed his plea to guilty half way through his trial. He also admitted unlawful production of cannabis. He was jailed for 13 years. His brother Michael Smith, 34, of Yarborough Court, Barton on Humber, admitted assisting an offender by transporting Mr Rawson back to Gainsborough. He was jailed for two and a half years. 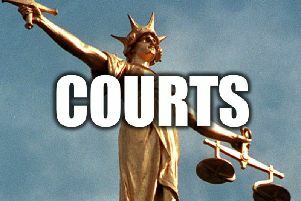 John Smith’s son Leroy Smith, 19, also of Pilham Lane, Pilham, admitted a charge of being concerned in the supply of cannabis. He was given a 12-month community order with 140 hours of unpaid work. During the trial the jury was told that Mr Rawson was a crack cocaine user who had agreed to grow cannabis for John Smith. Mr Rawson said he was attacked after arriving at John Smith’s house. He told the jury that he was kicked a number of times before John Smith disappeared and returned with a piece of wood and said he was going to kill him. Mr Rawson said "That's when he hit me with the bit of wood. He went to whack me again so I put my right knee up. "I was writhing in pain with a broken arm, then I got a whack on the head." Mr Rawson said the next thing he remembered was waking up in hospital and nurses telling him he had been in a coma for weeks. Tim Savage, for Michael Smith, said he was not involved in any physical violence but agreed to his brother’s request to transport Mr Rawson back to Gainsborough. Speaking after the hearing, Detective Chief Inspector Mark Kirwan, the senior investigating officer, said: "This was a brutal and sustained attack on a vulnerable person causing multiple, complex and lifelong injuries. "The victim was in a coma for several weeks following the attack therefore the early investigation was challenging as there was little information available. Officers worked tirelessly throughout the investigation to piece together the events of that night, building a successful prosecution. "I am conscious that there are others that will suffer due to this crime, not least the innocent immediate family and friends of the Smiths and Mr Rawson. Violence always impacts on more than just the person you see in front of you. "I feel justice has been done in this case with a sentence of 13 years. Mr Rawson showed courage and determination seeing this trial through. Lincolnshire Police will always work to protect vulnerable people and make our communities safer."